Robert Jordas is a calm, charming and knowledgable vertical farming hero. The fact that he calls his huge company a “little Garden” just proves how humble he is. It also makes it very easy for us to praise his fantastic work. Robert is founder and CEO of Robbes in Finland. 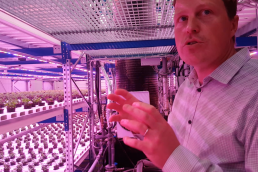 He has 15 years of experience in large scale greenhouse farming, and out of curiosity and love for innovation, he succesfully started up a large and profitable Vertical Farm. ROBBES is specialized in salad varieties, various herbs and seasonings such as basil and mint. 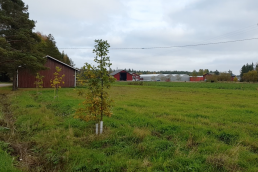 And although their main farm is located far away from any big urban center, the business strategy is very similar to that of an urban farming company. Want to mix the experience of the traditional greenhouse industry with vertical farming innovation, then listen very carefully to Robert Jordas of Robbes. With Robbes, Robert Jordas has 15 years of experience in greenhouse farming. 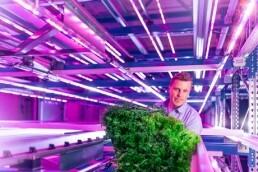 In September 2017, he has been running a Profitable vertical farming installation for 1,5 years. And the numbers don’t lie, the vertical farm is more profitable than the “traditional” greenhouse part of his farm.